Hm. The same issue (profiles of non-people) came up at Friendster, back in the days when it was the undisputed giant of social networking. 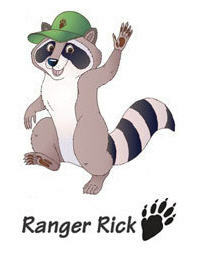 It's just so bizarre that of all the fake profiles on Facebook that they'd target Ranger Rick. Why not take down the "Hillary Clinton" profile? Why not the six fake Paris Hiltons? Glad you posted about this. I felt it's been one of the more useful and interesting discussions on Progressive Exchange, and very timely. I'm curious to see what's going to happen with this issue in the future. I can't imagine Facebook can find all fake profiles..... can they? I have this feeling some other technique will evolve that people will use to fool the system. Thanks Beth for posting on this. It is a tough issue for sure. We here at Oxfam are only trying to reach out to people where they are, and from our experience, people want to connect with us on Facebook. Why limit that capability. Keep up the great work on here!